Weigh anchor and hoist the mizzen! There is no better way for landlubbers to set sail for Europe than on a shipshape DFDS Seaways ferry! Enough pirate talk (well…until International Talk Like a Pirate Day…), it is best to use plain, clear English to let you know that DFDS has been successfully plying the waters from the UK to Europe since the 1800s. DFDS is a financially sound company with extremely sound ships—fast, beautiful and exciting. Next time you are planning to get from the UK to Europe—or the other way around, choose the award-winning DFDS Seaways, named Europe's and "The World’s Leading Ferry Operator in the 2015 World Travel Awards" for five years running.​ You can also choose DFDS Seaways for your next holiday or to embark on an unforgettable relaxing mini cruise, they also offer great deals using DFDS discount code. Whether you use a DFDS offers 2 for 1 or another type of special offer, DFDS is committed to giving its passengers great trips at great savings. To help you get the best prices they have both a dedicated ‘Special Offers’ page to show the latest sales and a ‘Cheap Fare Finder’ page to provide tips for booking the least expensive fares. 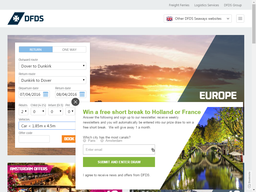 More savings can be had by using a DFDS discount code when you book your trip, and BargainFox will ensure you get the best, latest codes for your next DFDS trip. Don’t talk like a pirate—sail like an admiral! Whether you want to cross the channel on one of DFDS Seaways’ 4 passenger ferry routes between the continent and the UK, or if you are thinking of taking a holiday to Scandinavia or the Baltics, you can have the most wonderful experience ​at the best prices. Just two examples of the great prices offered by DFDS include a ferry crossing for a car and up to nine people from Dover-Dunkirk for only £39 and a two-night Amsterdam mini cruise from £85 per person. There are so many options to choose from, and you can have the best savings by using a DFDS offer code. You can also check the ‘Special Offers’ page on the DFDS site to see the specific savings that are on for a limited time. With the prices in hand, let’s get on to the admiral-quality experience of sailing on DFDS Seaways. Where else could you be sailing from Newcastle to Amsterdam while dining in Little Italy? You guessed it! Nowhere except on DFDS Seaways. See the excellence that DFDS offers! Each ship has a range of offerings, from self-service restaurants to bars and gourmet specialty restaurants. Depending on your route and the purpose of your travels, DFDS offers a range of entertainment, shopping, family activities and sleeping options. You can check out the different DFDS ships online to see the specific offerings on each. For your next ferry crossing, hen or stag party, gourmet mini cruise or cheese-tasting adventure, enjoy the best in life on a DFDS Seaway ship. This is the easy part—saving money! To use your promotional code to get the best savings, once you have chosen your trip (the site will find their best available fares for you) enter your code in the box provided for the offer code and click ‘book now’. Your code will need to be entered exactly, so it is best to copy the code straight off BargainFox and paste it in the box—this will ensure that your DFDS voucher code is entered exactly. Whether you want to book a ferry crossing or a holiday, everything you need is online. Ferry bookings are made by completing the box on the left side of the screen. Just choose your route and other information from the drop-down boxes. Holiday and mini-cruise bookings are also easily done online. In all cases, you just need to choose your travel or trip and click the links and follow the clear instructions. Of course, if you prefer, you can book via telephone. In any case, there is always a customer service person to speak to who can assist. Things change, and if you need to change or cancel a booking you made at DFDS, it will depend on the type of booking it is. For changes, check the terms of your booking to see if you can change it. If you can, any changes are of course subject to availability. You can also cancel certain types of bookings, but any charges or fees for cancellation depend entirely upon the travel category. You of course will know at the time you purchase your trip what the cancelation terms are, so be sure to look at those before you book. Most cancellations are subject to charges based on the amount of notice given, so refunds are given minus the charges incurred. Cancellations can typically be done via the website or by telephoning DFDS direct. Please always refer to the specific cancellation rules for the trip or travel you are booking. 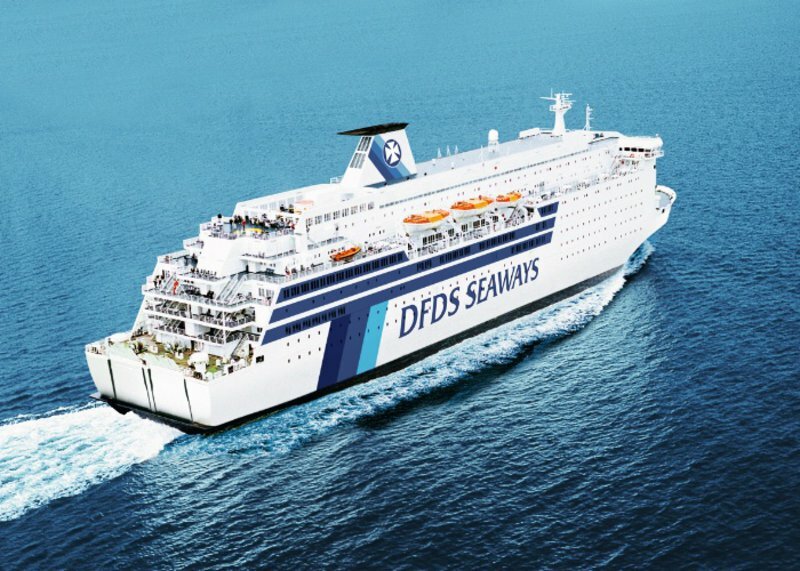 Please also note that DFDS offers flexi fares on their Dover-Dunkirk & Calais routes, which provide a full refund if canceled at least 48 hours before departure along with other benefits. See all the details on their website and do not forget to use DFDS discount code, as alternative to DFDS you can also check Irish Ferries.